Founded in 1955, Nolte Mobel have been manufacturing bedroom furniture and exporting to over 46 countries. With Nolte, they take the time to hear customer feedback so that they can continue to improve and it is why they are currently one of the world’s leading furniture manufacturers. Great customer service and exceeding your standards is the heartbeat of Nolte Mobel, and the result? Beautiful, bespoke bedroom and wardrobe products that are equally reliable as they are aesthetic. Nolte provides a 10 year guarantee. Established in the 1960's, we are a third generation, family owned and run business. 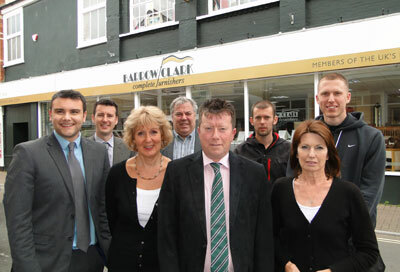 Our team at Barrow Clark are passionate about all things furniture,and are keen to look after all your furniture requirements. Over the years we have built up a wealth of knowledge on all aspects of furniture and flooring. We can offer you expert advice on making the right choice to suit your requirements. We pride ourselves on our personable customer service. We like to build a rapport with our customers and look after them. This is why our customers return time after time. We also operate a 'fair price promise'. Speak to our team for more details. 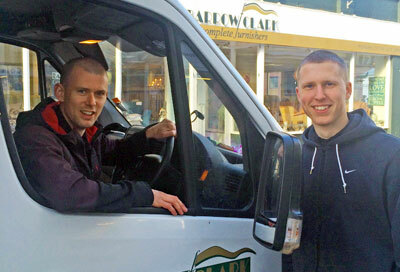 We offer free delivery within the West Country. We will unpack your items and place them in the room of your choice. We also offer nationwide delivery with competitive rates. Contact us for more information or to discuss arrangements.